Nearly six months after NASA’s New Horizons probe zoomed past Pluto, just one quarter of the data stored on board has made its way back to waiting scientists, revealing a surprisingly varied terrain that includes craters, glacial flows in vast, icy plains and steep mountains of frozen water floating in a “sea” of slush-like nitrogen ice. 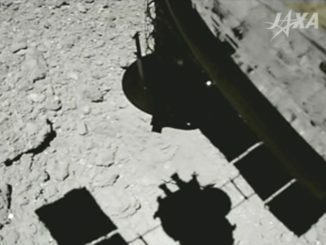 While New Horizons has answered many of the most outstanding questions about the solar system’s famously demoted outermost “planet,” the project’s principal investigator said Tuesday the science team expects a steady stream of new discoveries in the months ahead as the spacecraft slowly but surely sends back its treasure trove of stored data. 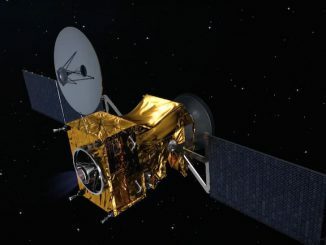 Launched in January 2006, New Horizons raced past Pluto and its moons on July 14 and is now sailing ever deeper into the Kuiper Belt where uncounted remnants left over from the birth of the solar system orbit in frozen anonymity. Now twice as far beyond Pluto as Earth is from the sun, New Horizons has beamed back stunning high-resolution views of the dwarf planet’s hazy, backlit atmosphere and surface, revealing a vast heart-shaped ice plain informally known as Sputnik Planum surrounded by jumbled ice mountains towering as high as the Rockies on Earth. The presumed impact that created that basin would have released an enormous amount of energy, probably increasing the world’s tilt. “It’s so large and its volume is so great that the negative mass anomaly caused by that impact has very likely caused the (tilt) of the planet to shift and to move this object to its current location near the equator of Pluto,” Stern said. Before New Horizons reached Pluto, scientists did not known whether they would find steep topography like mountain ranges “because nitrogen ice, which is the dominant constituent of Pluto’s surface seen spectroscopically from Earth, is a very weak material even at 40 Kelvin (-387 F),” Stern said. 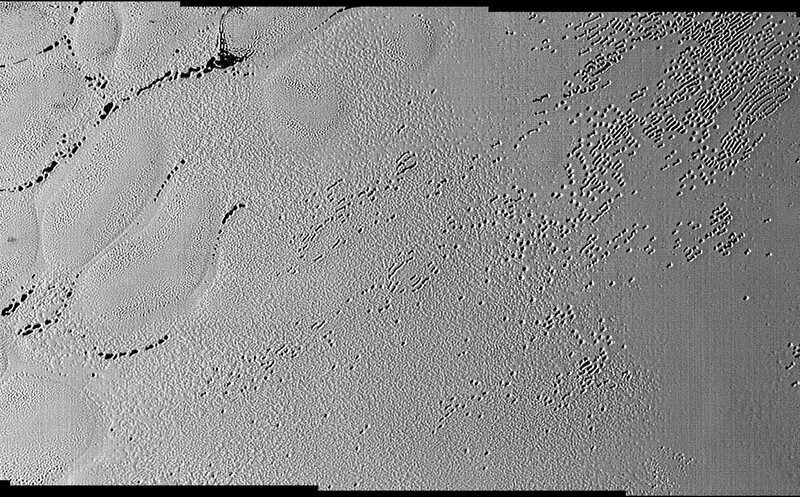 The plain itself features strange cell-like structures, or “ovoids,” that are believed to be the result of thermal convection in the ice. And that convection presumably helps resurface Sputnik Planum. That was a major surprise, he added. 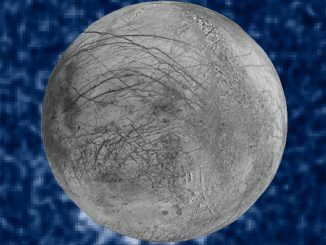 Also surprising: countless pits across the southern parts of Sputnik Planum that can measure miles across and hundreds of yards deep. 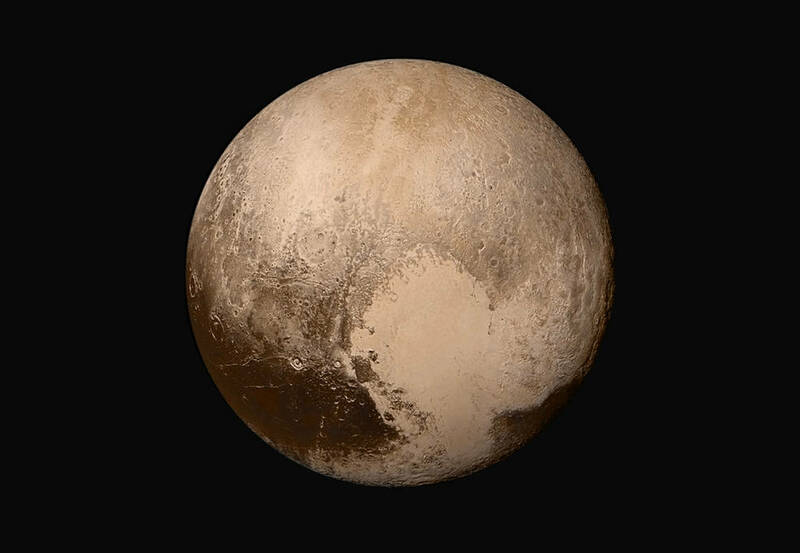 One working hypothesis, he said, is that everywhere on Pluto the “actual planet” is very dark and all of the regions that are bright are due to ices deposited on the surface by atmospheric transport. New Horizons is on course to fly by another Kuiper Belt body on Jan. 1, 2019.